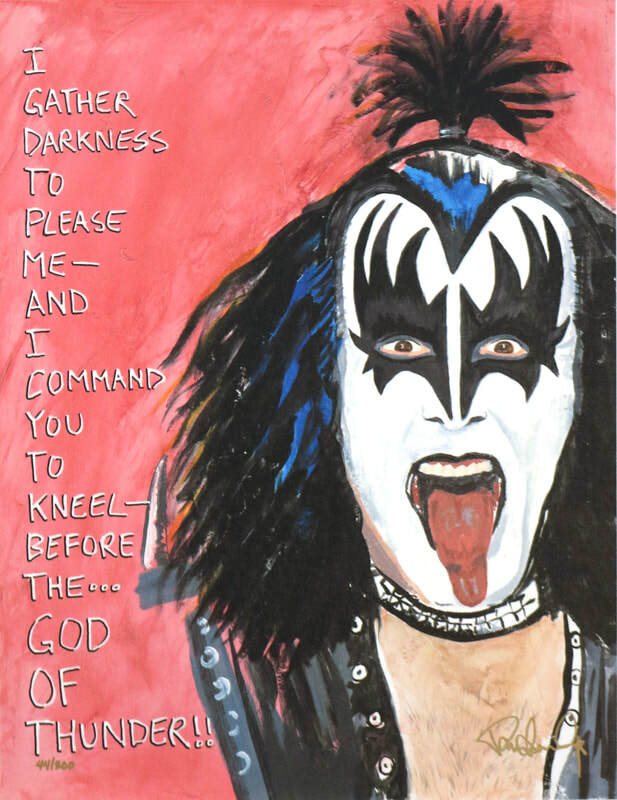 Stanley designed and created the iconic KISS logo which remains universally recognized as one of the greatest logos of the 20th century. 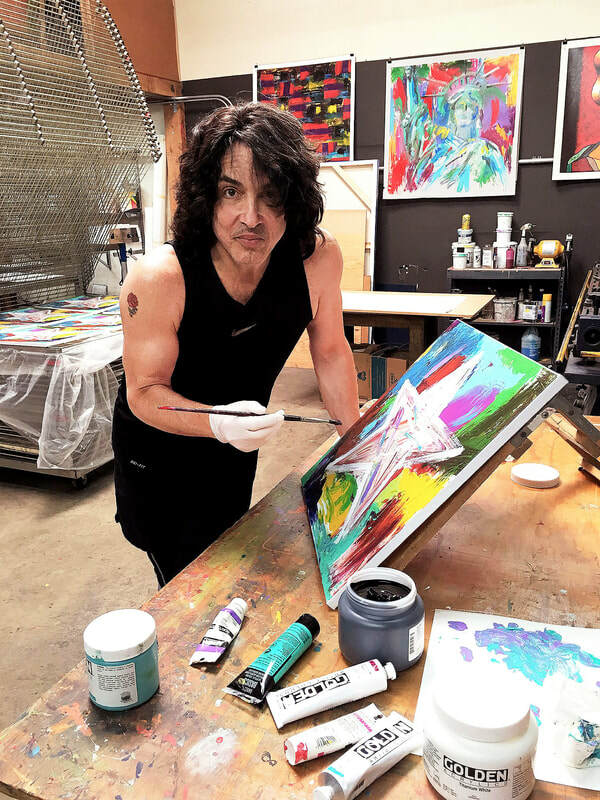 His artistic and visual input has been and continues to be seen in his designs of KISS album covers, performance stages and apparel. Stanley returned to his passion for painting ten years ago by creating portraits and abstracts that are emotionally charged compositions. His tremendous success with his artwork has led to an entirely new fan and media presence for the accomplished Musician, Actor and Artist. 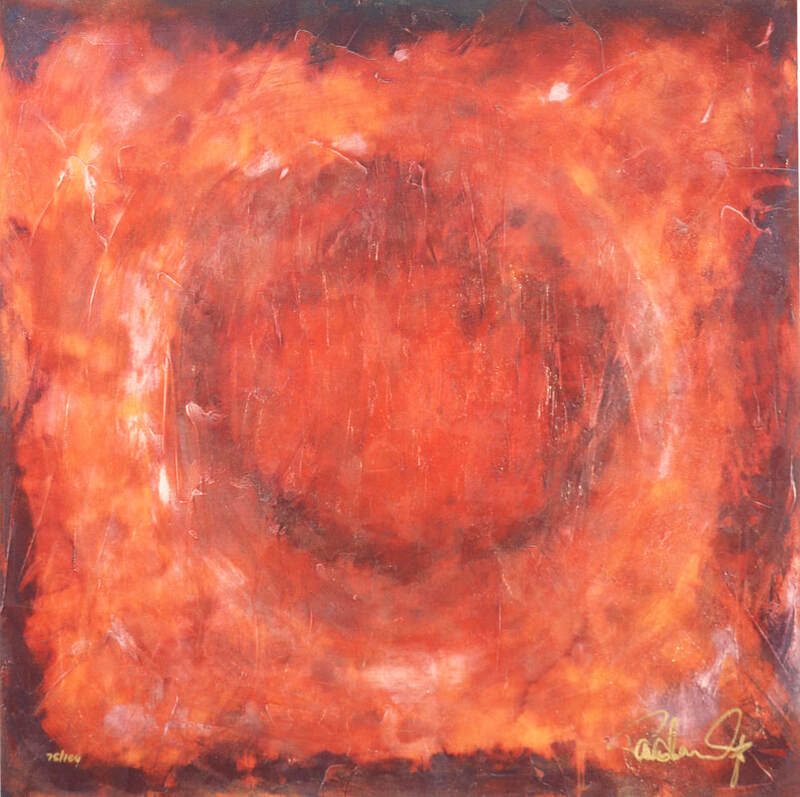 He maximizes the direct and powerful impact of his paintings through scale, texture, color and simplicity of imagery. Stanley’s works have been praised by well-known and distinguished art concerns and acquired by fans, celebrities and art collectors. The Artist has been commissioned to create numerous large works that are on exhibition globally. 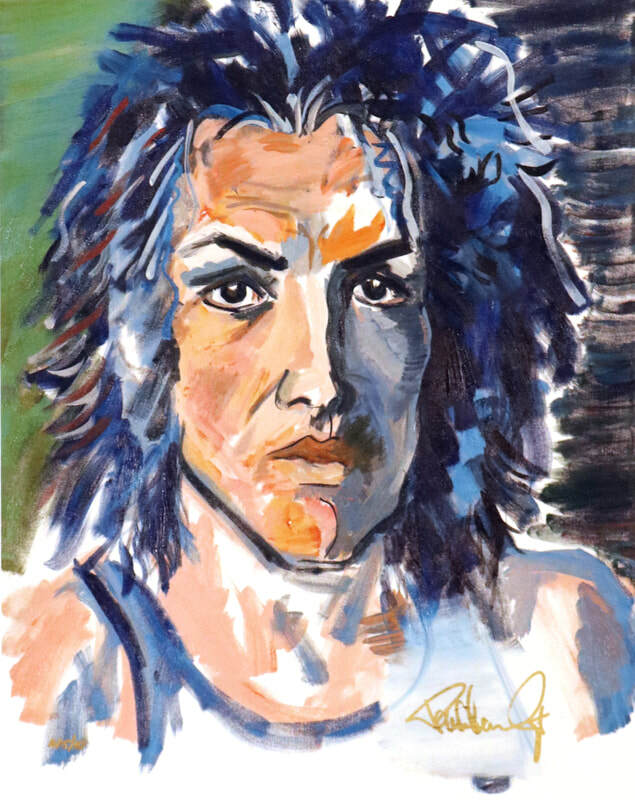 Two very special meet-the-artist appearances are scheduled on Friday, February 9 from 6-9pm at Wentworth Gallery in Ft. Lauderdale on Las Olas (RSVP: 954-468-0685 or lasolas@wentworthgallery.com) and then Saturday, February 10 from 6-9pm at Wentworth Gallery in Boca Town Center (RSVP: 561-338-0804 or towncenter@wentworthgallery.com. 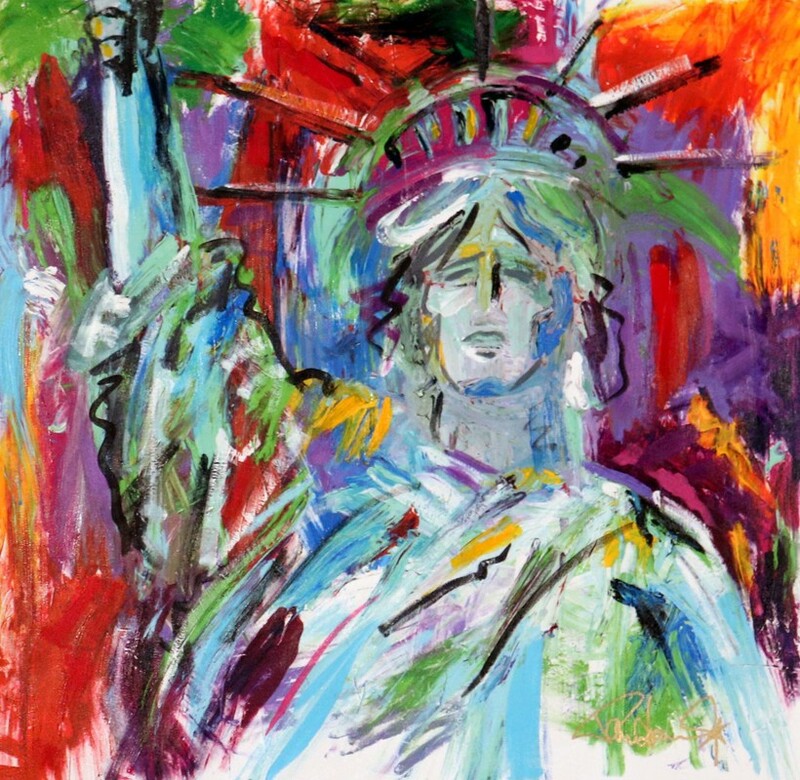 Visit www.wentworthgallery.com for more info. 819 East Las Olas Blvd. For more information about this event, contact the gallery via email at lasolas@wentworthgallery.com or to reach the gallery directly and to RSVP, call 954.468.0685. For more information about this event, contact the gallery via email at towncenter@wentworthgallery.com or to reach the gallery directly and to RSVP, call 561.338.0804. Stanley returned to his passion for painting ten years ago by creating portraits and abstracts that are emotionally charged compositions. His tremendous success has translated into millions in sales. He aims to maximize the direct, physical impact of his paintings through scale, texture, color and simplicity of images. In a few short years of exhibiting, Stanley’s works have been acquired by numerous art collectors and he has been commissioned to create large works to be displayed internationally. In addition to the concert stage, Stanley has also played to theatrical audiences in the title role of The Phantom, in “The Phantom of the Opera”. Paul was chosen to be the final Phantom in the 10 year run of the Toronto production. As an accomplished solo performer, Stanley released “Live to Win”, his first solo album in more than 25 years. In it, Stanley strips his emotions to the bone and adorns them with a melodic sheen with songs about the power of the human spirit and commitment to not compromising ideals. In 2008, Stanley released the heavily awaited concert DVD, “One Live Kiss”, that quickly went to the top of the music video charts. 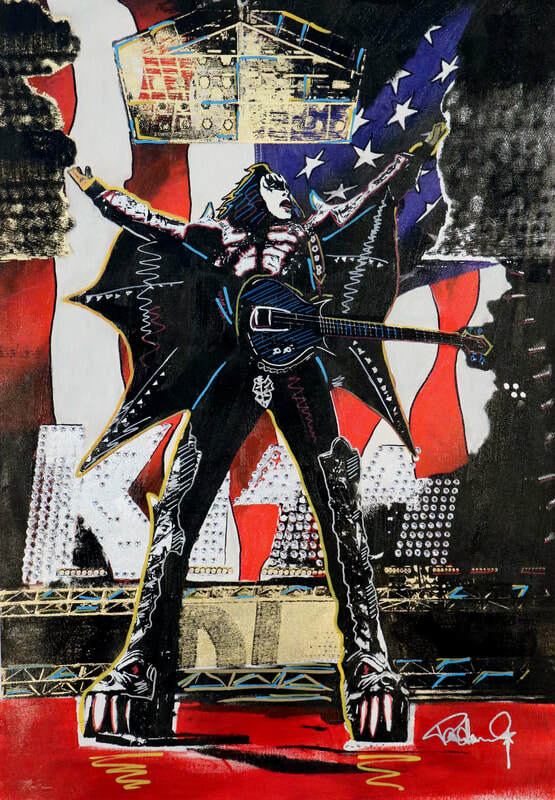 A believer of reciprocity, and calling attention to those less fortunate including numerous hardships faced by soldiers returning from duty oversees KISS donated a dollar from every ticket sold on the “Sonic Boom Tour” to the Wounded Warriors Care Project. Stanley lives in Beverly Hills with his wife Erin and their 3 children.